Clear all jellies and reach 100,000 points to complete the level. This level has medium difficulty. For this level try to play from where more candies are available to play and make special candy. 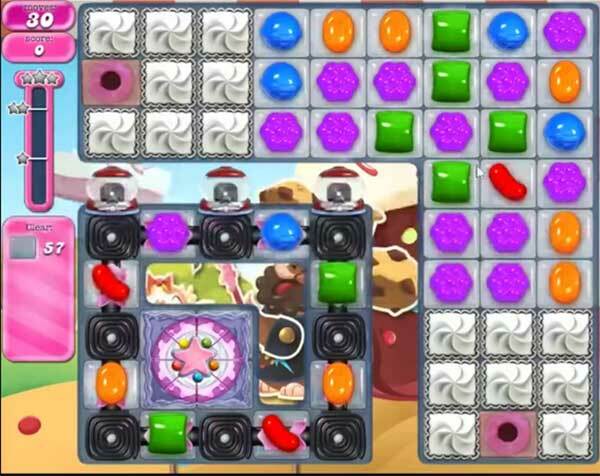 Try to make striped candy and use with other special candy to break the blockers and cake bomb to break more jellies. After play with remaining jelly candy to break them all. 1560 completed with the help of a candy hammer. To get the last corner jelly. not having any luck here. Came close once, getting bored here. This level can be Beaten by getting two color balls together and sit back and enjoy the show. It is easy to get the rest of wrapped candies.